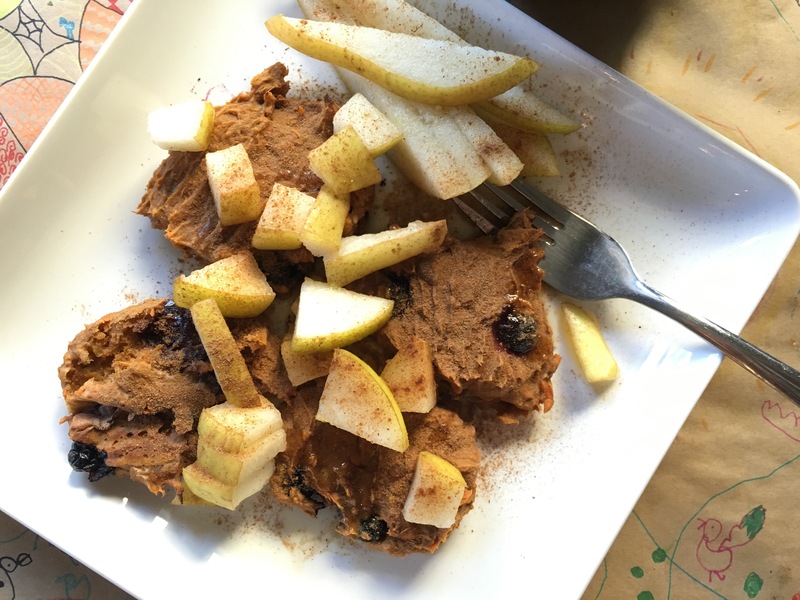 Since starting the AIP diet, everyone keeps asking me, “what the heck do you actually eat?? 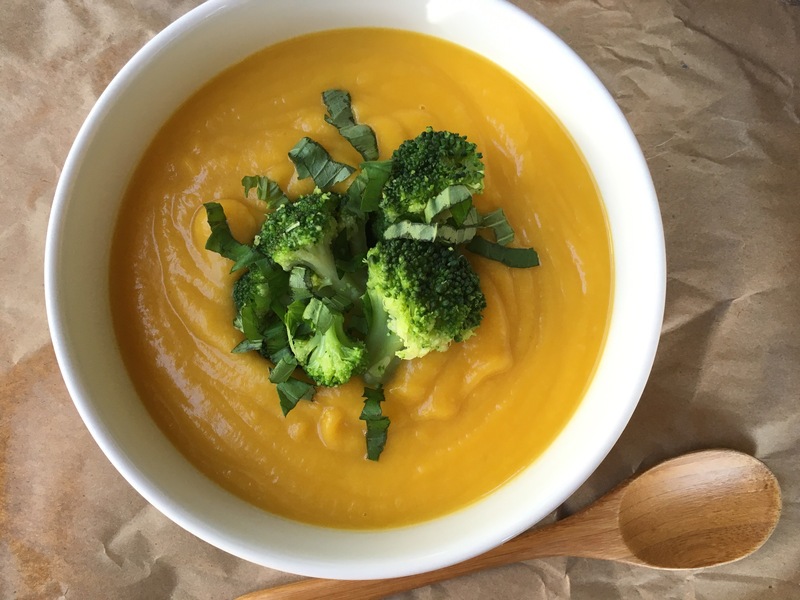 ?” I’ve had to eliminate SO many of my staples – everything from black pepper, baking powder, and curry to bell peppers and tomatoes…and the obvious nuts and grains. My diet over these last two weeks have consisted of A LOT of fresh fruits and veggies. It can definitely get repetitive and old, which forces you to buy produce you don’t always eat and to get creative with meals. It’s also hard because you get conflicting info on the Internet as to what foods you can and can’t eat. 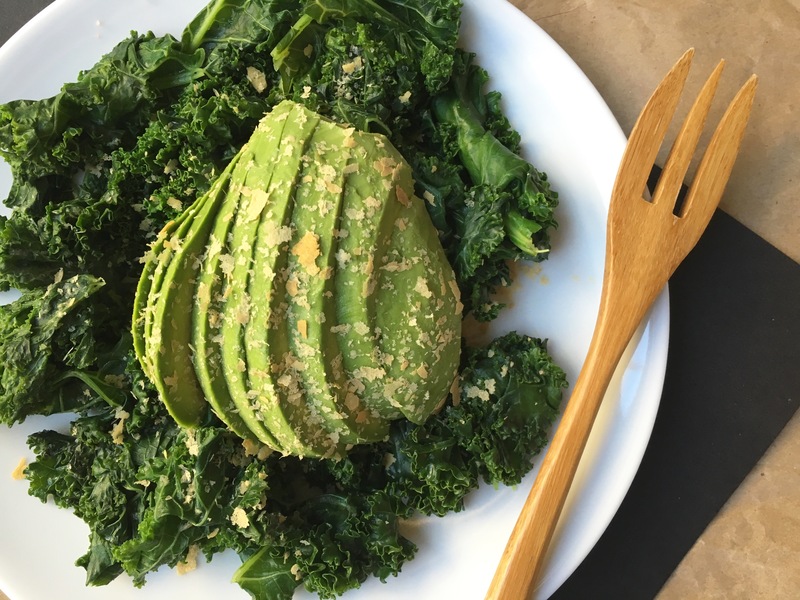 Sautéed kale (oil-free) topped with half of an avocado, nutritional yeast, and a sprinkle of Himalayan salt. 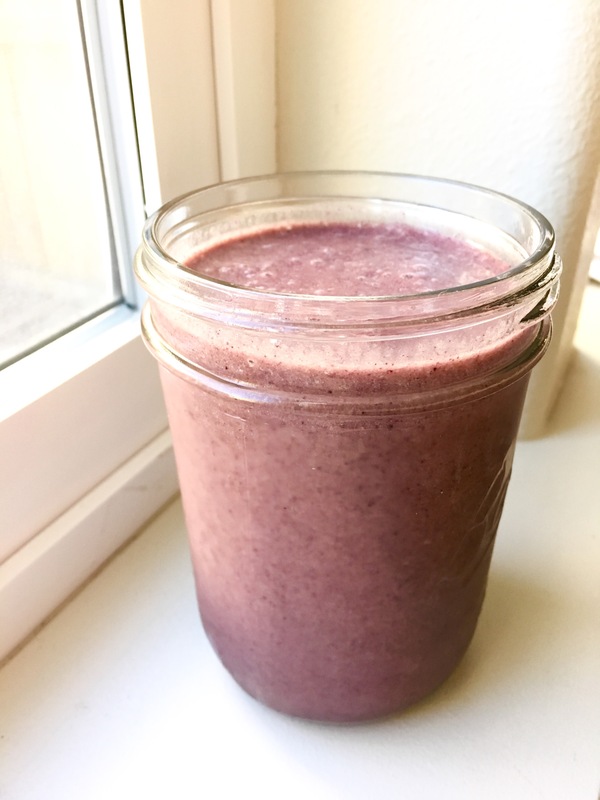 12 oz smoothie >> 1.5 frozen bananas, 1/2 cup frozen blueberries, 1 teaspoon maca, 1 teaspoon carob, 1 teaspoon mesquite powder, water and a splash of coconut milk to blend. 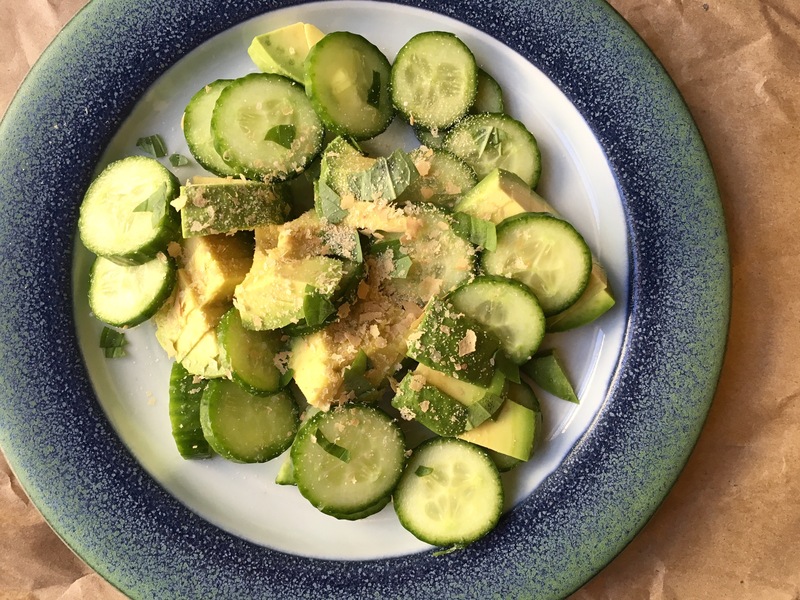 1 Persian cucumber and half of an avocado topped with garlic, Himalayan salt, nutritional yeast, and fresh basil. 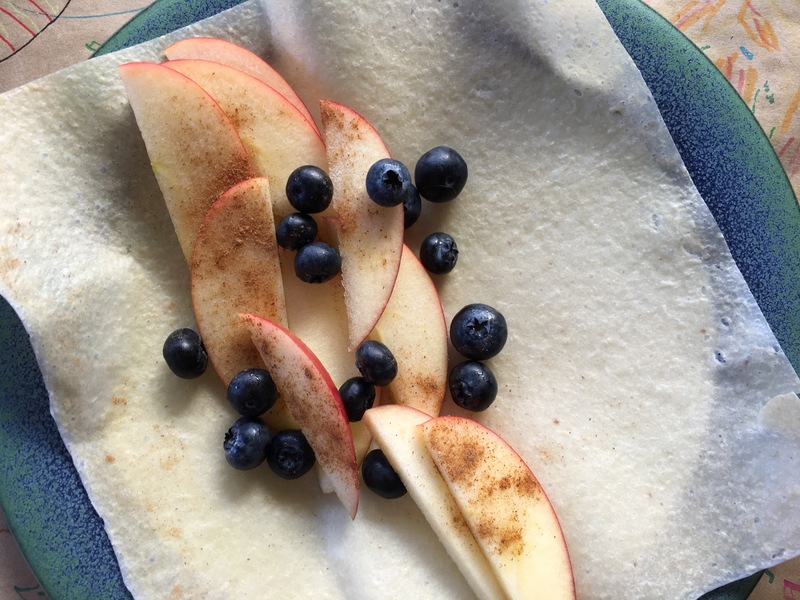 Sliced apple, blueberries, and Ceylon cinnamon in a coconut paleo wrap. 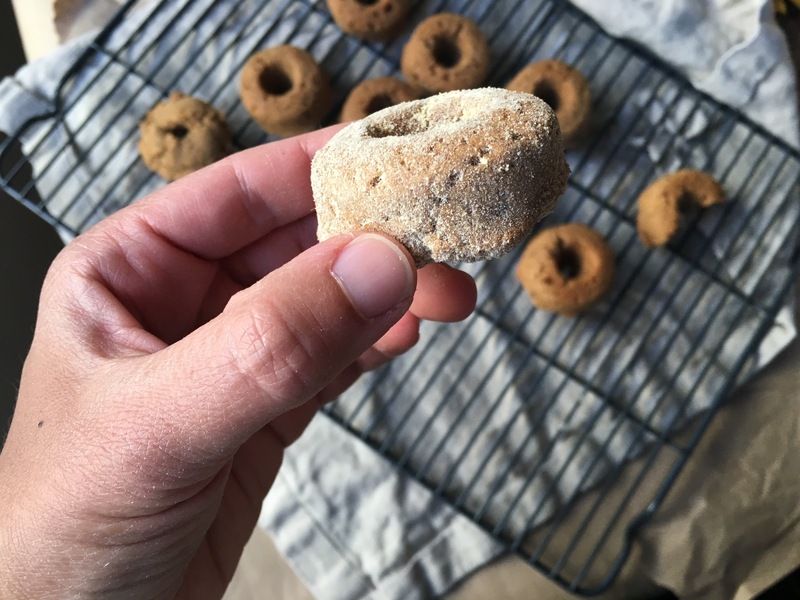 Also munched on a donut…working on trials for a grain-free recipe that’s also oil-free…holy tricky!! Haha! 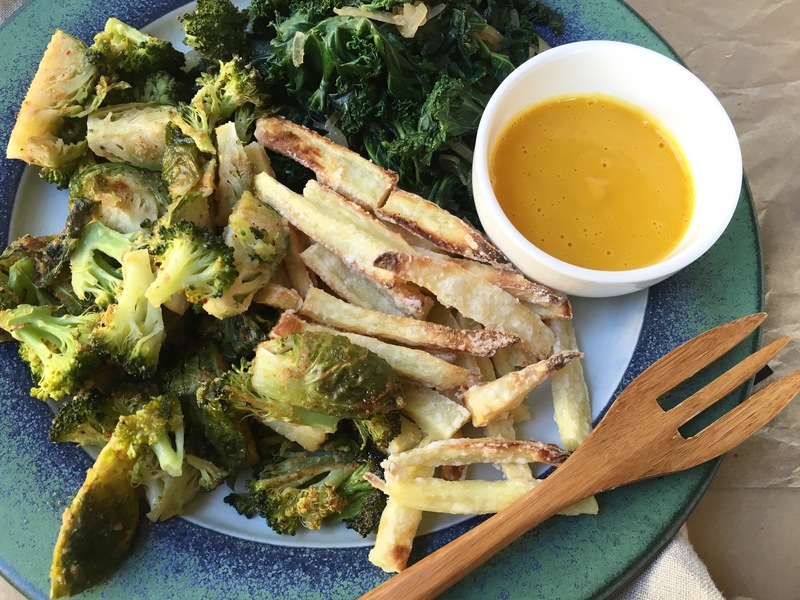 Sautéed kale + onions (oil-free; used mushroom broth), crispy sweet potato fries, and roasted brussels + broccoli with an AIP friendly cheese sauce…needs another trial, but I’ll share when I get it figured out! Banana-yam cakes with blueberries and pears (recipe courtesy of my cousin). Uses banana flour and a lot of cinnamon. You can either fry them in coconut oil for a yummy crispy exterior or bake them oil-free…both ways are delicious. This is so interesting Mandy! How long do you have to eat this way? Is it working to heal you? Will you be able to/want to eat the way you used to? No matter what, I’m so happy you have discovered a way back to feeling better! My sweet friend! I haven’t felt this good in a loooooong time! I’m happier, more energy, and my gut feels way better than it has in months. My naturopath told me to limit my fruit to one piece a day and see how I feel with limiting or eliminating nuts/seeds…other than that, following this specific diet has been a way for me to follow my gut and get more in tune. In doing this, I’ve even pinpointed which veggies are causing problems for me! If you’re following the AIP pretty strictly, they say for best results to do it for 30 days and then slowly reintroduce foods. I’d like to do it for the full 30, but might cut it short with our trip next week. But we’ll see! I have a feeling certain grains were causing me issues, along with nuts, so I’ll probably have to either limit my consumption or avoid – I’ll have to play around. Thank you SO much!!! I’m happy too ☺️😘😘 love you! Oh man, I am so happy this works for you but I think I would literally die. LOL!! I have tried periods, very small ones, without grains and carbs like pasta etc, and my body just shuts down. I need those things or I crumble! It’s so interesting how different we all are and the main point is that you do what’s best for you! Really happy though that you feel so great. Keep rocking it! Wow my hats off to you for eating this way! I’m Vegan/Plant-Based and love all the food I can eat. This would stress me out lol. Hope your feeling better and can soon start adding more foods to your diet. I shared a pretty bland, green day 😂 but wanted to get a post up before next week. Those coconut wraps are SO good! Willow even eats them…with mashed avocado. I make salad wraps with them too – but what’s really good is baked or sautéed apples with cinnamon and coconut butter. Yum! I think I eat a bit too much kale, but my body has been craving that and all the other greens. I’d be lost without nutritional yeast right now 😂 I sprinkle it on everything! Looks good to me! I might need more than 2 snacks to get me through the day, but yum to all that avocado!! Kudos to you for sticking with it! Sounds like it’s working! Wow, Mandy!! That is a TON of food you can’t eat. I’m so very happy you are feeling better, that is most important. It honestly just seems like there isn’t much left, lol. I am not a fruit eater so I would likely wither away and die, bahaha! I eat a lot of rice and beans, they satisfy me and fill me up and of course nuts, but then again, I don’t have any issues with any of them. I’ve never had gut issues so I can’t even begin to relate. All I can do is say you are amazing for doing it and hopefully over time you can reintroduce some of the foods you love and pin point more closely what you can and can’t have to feel your best! That is what is so important! !